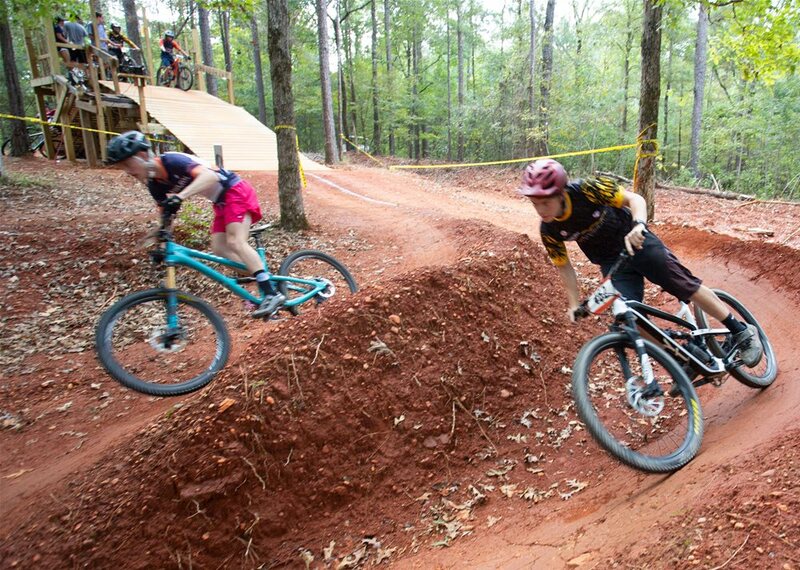 Grab a buddy and head to the Twin Pines Dual Slalom at Chewacla State Park. 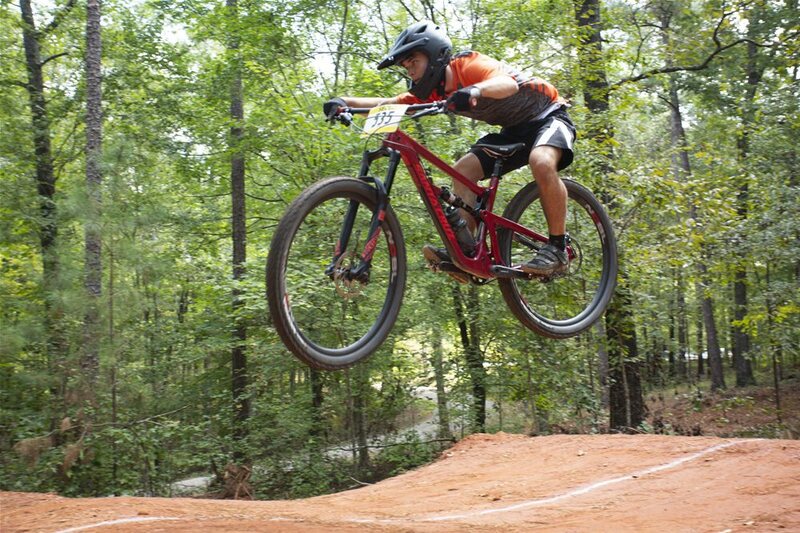 This exciting mountain biking trail where friends can compete in a head-to-head race was built in the summer of 2018 by Central Alabama Mountain Pedalers or CAMP. 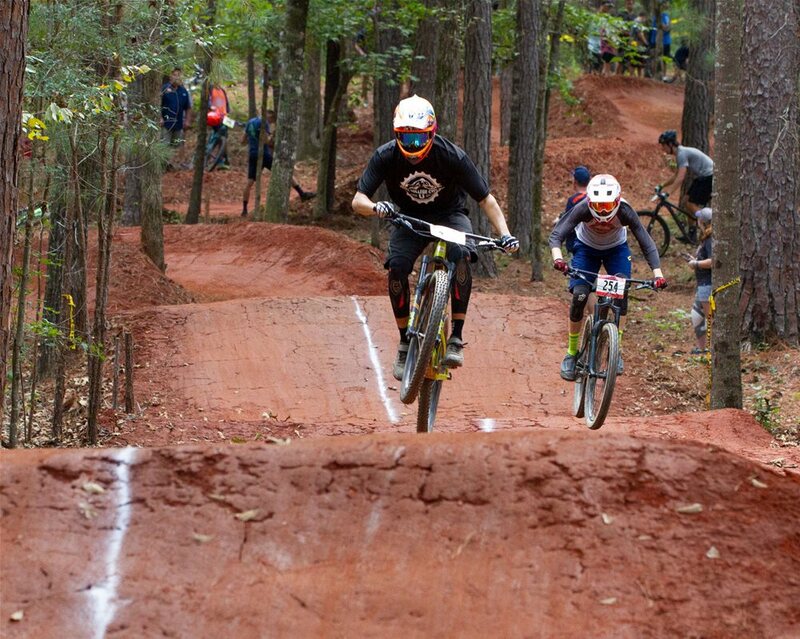 This slalom is the only one of its kind in the Southeast, making it a mountain biker's must-see! The slalom spans 787 feet of adventure. 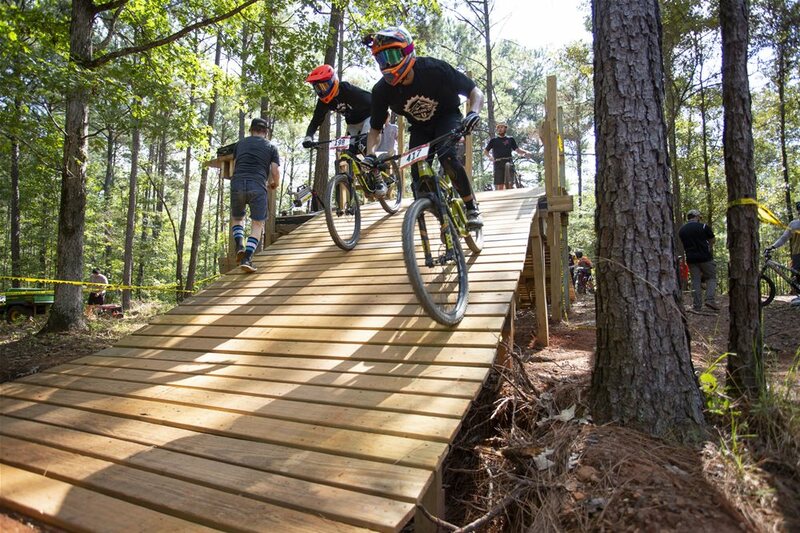 The trail features seven turns, nine obstacles, and a 7-foot wooden start ramp. So far, the average top speed is 18 miles per hour with the average completion time at 31 seconds. Are you up for the challenge? The slalom is located off of the Rock Bottom trail near the Middle Pavilion. The Twin Pines Dual Slalom has a difficulty rating of blue square, or more difficult. 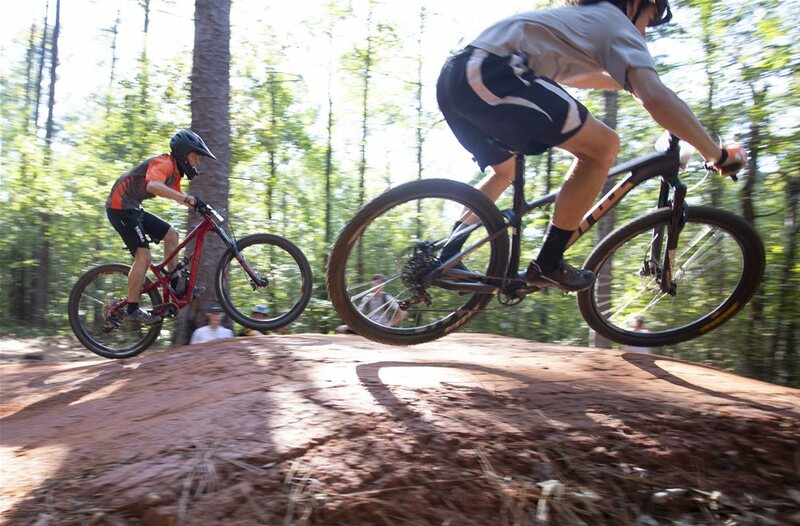 It can certainly be enjoyed by mountain bikers of all levels, however, beginners may want a little practice before heading down this trail. For more information about the trails at Chewacla or CAMP, visit CAMP's Instagram, Facebook, or http://www.camp-sorba.org/.